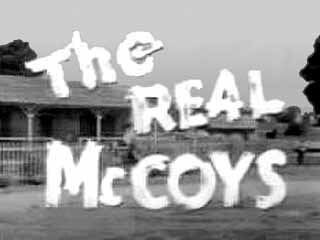 In the first episode the McCoys move from West Virginia to California because they inherit a farm there. The family dynamic is a little strange in this show. 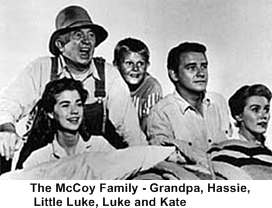 Grandpa Amos (Walter Brennan) is definitely in charge and is raising his grown grandson Luke (Richard Crenna), Luke’s wife Kate (Kathleen Nolan) and Luke’s two younger siblings Hassie (Lydia Reed) and Little Luke (Michael Winkelman). 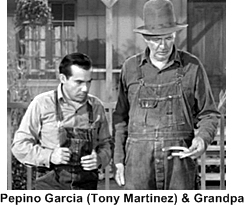 They also inherit a farmhand Pepino Garcia (Tony Martinez) with the new place. The grand kids parents have died but it’s not explained when or how. 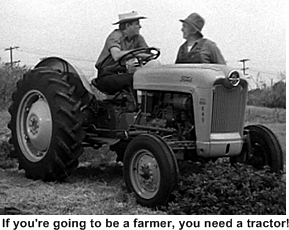 The series revolves around the family’s struggles in their new environment and day to day situations with farming and neighbors. This program was good old fashion family entertainment with all of the requisite high moral fiber and goodness that the 1950s could muster. It was a ratings hit and stayed in the top 30 for five out of its six year run. In the sixth and final season and due to a contract dispute Kate (Kathleen Nolan) left the show rather abruptly, they killed her off! 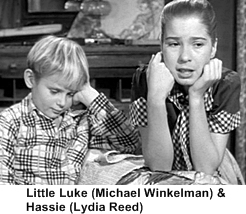 The children were then sent off to college and the army leaving Luke free to…. you guessed it, start dating. Unfortunately for the rest of the cast this tactic soured a lot of viewers and the show was canceled at the end of the season.